Wholesalers Welcome	Sign up today! Welcome to Alaskan Reflections. We are home to many wonderful Alaskan Gifts, and Handcrafted Alaskan Souvenirs. 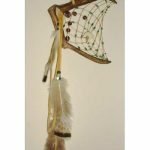 On our website you will find handcrafted dream catchers, handmade jewelry, handwoven grass baskets, antler handled knives as well as antler dog chew toys. We have carved bone items, as well as carved wooden slingshots. In addition we have agate sun catchers, and decorative wind chimes, just to name a few. Our staff has traveled all over Alaska to find truly unique gifts that embody the spirit of Alaska. So we can offer you a little piece of the wild north to take home with you and share with the people you cherish. 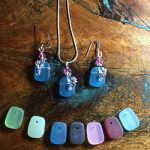 At Alaskan Reflections we strive to provide our customers with the most unique online Alaskan gifts available. That is why we are constantly searching for new gifts to offer our customers. Gifts that embody the spirit of Alaska and its traditions. So with this in mind if you are looking for great Alaskan souvenirs and gifts that truly represent the history and culture of Alaska look no further. We recommend that you come back to visit us from time to time. We are always adding new products to our website that embody the spirit of Alaska. Alaska Reflections is a small company located on beautiful Kenai Lake in Moose Pass Alaska. We are dedicated to bringing our customers only the most unique and finely crafted gifts and souvenirs form the great Alaskan territory. Our handmade and handcrafted Alaskan gifts embody the spirit of Alaska and its peoples. Offering a little slice of Alaskan culture and heritage for you to bring home with you, to share with your tribe. These gifts will delight and amaze your friends and relatives alike for years to come. Alaskan Reflections also offers Alaskan gifts at wholesale prices on our website. If you are wholesaler, sign up today for our wholesale program. As a wholesaler you can enjoy savings of up to 50% on all of our wonderfully unique Alaskan gifts and souvenirs. In addition we offer an Alaskan gifts catalog for our wholesalers. Contact us directly and we can send you a catalog right away. As a wholesaler you can subscribe to our newsletter. Our Newsletter will keep you updated on any new products. In addition we will update you on any changes we are making. In addition we will let you know about any offers or promotions we have upcoming. Whether you found us online or were referred by a friend, if you are here you are family. We want to always know how you feel. So feel free to contact us at 907-288-3642 or email us at akreflec@seward.net if you have any questions or suggestions or if you just want to say Hi! We have friendly staff standing by waiting to answer any questions you may have about Alaskan Reflections or any of our wonderful products.